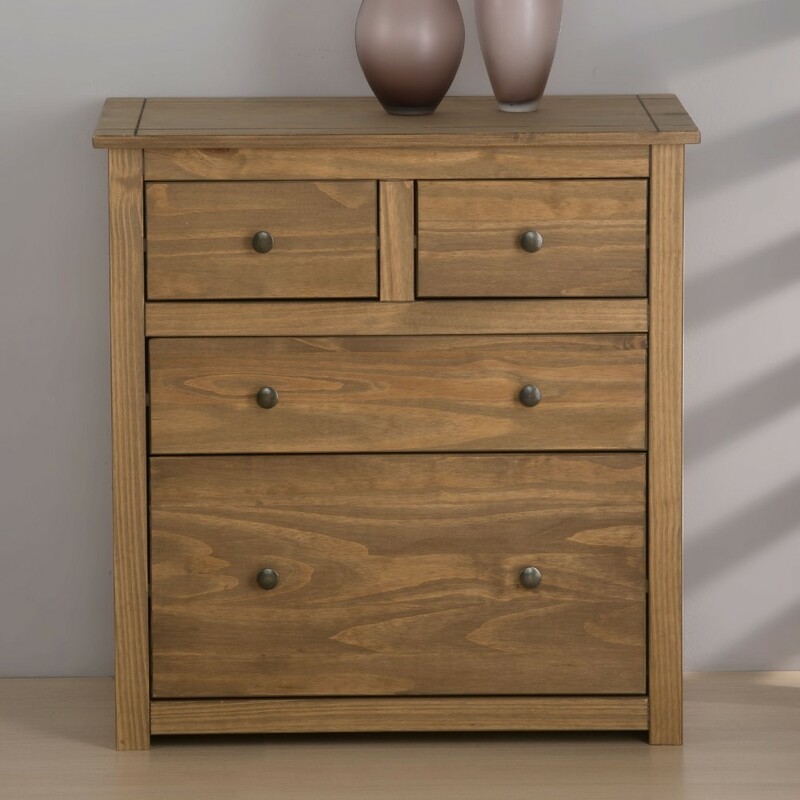 This Santiago bedroom chest features 4 storage drawers of differeing size. The bottom is a very deep and wide drawer perfect for those larger items. The drawers pull out smoothly on the wooden runners. The drawers handles are made from zinc alloy making the strong and durable, they look great against the distressed pine wooden drawer fronts.